Our industrial firewalls and network appliances are designed around the needs of IT professionals, creating a highly-reliable network device ideal for both large and growing businesses. 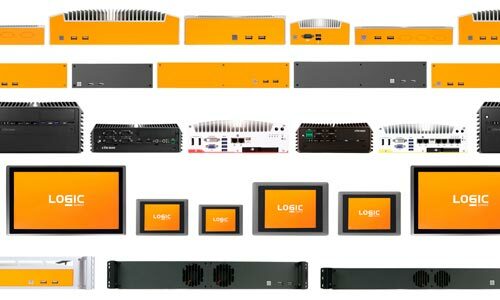 Our line of industrial firewalls and network appliances have been engineered for the specific needs of IT professionals and network security experts who can't afford to compromise on reliability. Enclosed in a range of industrial chassis designed to withstand even the most challenging environmental conditions, our networking hardware features up to 5 Intel Gigabit Ethernet ports and ultra-efficient processors. Combine this with class-leading open source software like Ubuntu and a suite of OEM services that allow you to customize your platform to suit your application and business needs, and our network appliances offer unrivaled value and flexibility. Our team of hardware specialists are here to help you select the best firewall for your application. We offer a broad line of built to order computers designed to meet your unique needs. Use our system finder by entering your requirements to identify the perfect computer for your application.